Timothy Tyson Killed in Jacksonville Motel Shooting; Security Lapse? Did negligent security contribute to this tragic Jacksonville motel shooting and are justice and compensation available to Mr. Tyson’s family? 52-year-old Timothy Tyrone Tyson was shot and killed outside a Jacksonville motel Tuesday afternoon, January 29, 2019. According to The Florida Times-Union, officers were called “to [an] Inn just south of San Marco” shortly before 5 p.m. Mr. Tyson was discovered “in a rear parking lot next to a vehicle.” He was transported to the hospital, where he tragically succumbed to fatal injuries. 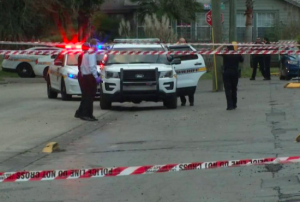 Jacksonville police told News 4 JAX, “the shooting was the result of an argument somewhere on the property of the motel.” Investigators are still searching for a suspect. Motel guests have a right to feel safe and secure while on the premises. The Murray Law Firm questions the level of security provided at the motel and whether this tragedy may have been prevented. Have there been prior incidents of violence on or near property? What security measures, such as guarded-entry, monitored surveillance cameras, bright lighting, and visible security patrols, were in place to deter crime and protect Mr. Tyson at the time of the shooting? Generally, property owners are required to protect all those legally on the premises from any foreseeable harm. Should the facts of this matter reveal that the motel owner failed to provide adequate security to protect those on its premises, Timothy Tyrone Tyson’s family may seek justice and elect to pursue legal claims for their loss. The Murray Law Firm has an extensive and successful record representing victims of violence and security negligence. We have obtained over $100 Million in verdicts and settlements for out Clients, including a $29.25 million dollar verdict for a victim of an unsafe property. We offer our legal assistance, if desired.